Today I received an email from Ancestry.com, asking me to take a survey about AncestryDNA. I thought I'd share my responses on my blog. My responses were influenced by the fact that I had tested with other DNA companies (ftDNA and 23andMe) prior to Ancestry.com. Based on what the AncestryDNA test currently offers in the way of results, my responses were low. I think that those without experience with other companies would probably give more positive answers. Overall satisfaction? 4 out of 10. I had higher expectations for such a leader in the genealogy industry. This test is missing many features available from other companies. Value for the money? 6 out of 10. It is much less expensive that the tests at other companies. But, you don't have the features. Would you recommend it? 3 out of 10. Although it's cheaper, the other companies provide a better product. If you only have $100 and don't think you can save $300, go for this one. If you are more concerned about quality, save up. Increased my satisfaction with Ancestry? 2 out of 10. Again, I expected better. 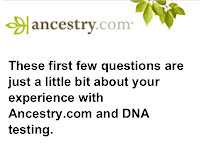 This product actually lowered my opinion of Ancestry.com as a company. Website is easy to use. 5 out of 10. It is easy to use (almost too simple) but it is slooooooow. AncestryDNA website clearly represents my results. 1 out of 10. This one needs a bit of an explanation. Yes, the website is pretty simple. But, as I said above, it is almost too easy. I understand the info they give me, but I don't learn anything. Based on their website, I have no idea how they came to these conclusions. I just have to hope that Ancestry.com got it right. Sorry, but I want to know the science behind it all. Test was easy to do. 9 out of 10. Spit. Done. Test was easy to ship and register. 9 out of 10. It was pretty simple. Test result turn around. 10 out of 10. It took less than a month. Hard to beat. My results are kept private. 10 out of 10. Private? I don't even know all of the info behind my results. 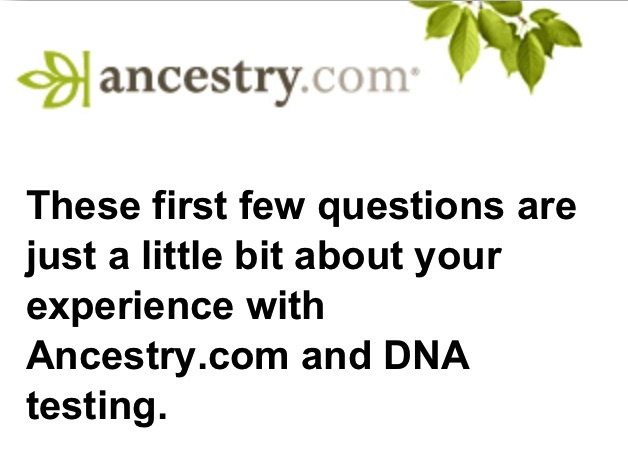 I would love to see more detailed results from AncestryDNA. Raw data, chromosome data, ability to triangulate matches and, simplest of all, a search function. Let's add those features and I'll give a higher score.